What is the most immediate need do you have that needs more priority? The most important need for the organizations sponsorship for those children in our sponsorship program whose sponsors’ money could not meet all their needs and who for one reason or the other the sponsors were to help them for only a short period of time. These children have not yet complete school and it is our commitment that they reach a certain level in their education. The other important need is helping women groups have seed morning for our Children Education through Women Empowerment projects. We have successfully done it with some women groups and other women have group themselves and are seeking for money to start a business. Which program which when done now will provide a long term security for the community? Raising funds daily through motor bike taxi business. The motor bikes are used as transport vehicles and the funds raised go to the education of underprivileged children. Getting 3 or 4 motor bikes might cut it. Funds will be raised daily to sustain the child sponsorship program while at the same time providing jobs for the rural people manning the bikes. The project has been very successful in the past. Among the programs done which has become the most successful? Children Education through Women Empowerment has been very successful. It benefited 100 women in one year and arranged for the education of 313 children. It won an Award from the World Bank in 2011 and a Certificate of Recognition and Recommendation Letter for best implementation of project. It received grants from Catalyst Exhibits, USA and grants from individual donors. The child sponsorship program is also among the most successful programs. Which program became more accepted by the community? The Child sponsorship program, Women Economic program and the ICT training centre. Kindly enumerate the problems faced by the community. In rural areas, women depend on men for a living and most men have a yearly meager income. Most children do not go beyond the primary school level and those who attempt secondary drop again along the way forcing many children to do up jobs at plantations at the coast. Early marriages for young girls sometimes hinder their education. Orphan children may not be lucky to find someone in the extended family to fully commit to their education as most people have large families. So, when a man dies, the future for his children becomes bleak. partnerships do you need to establish to make it more successful? 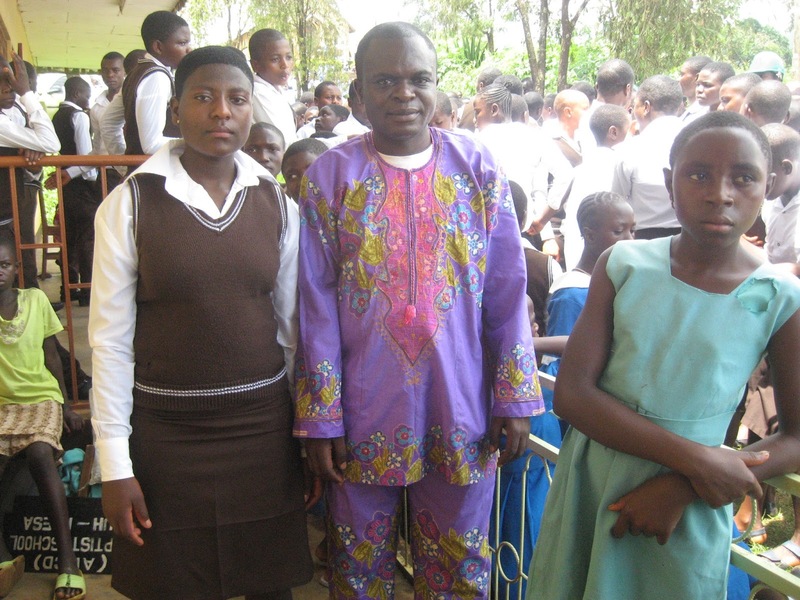 funded by an organization in Switzerland Informatik Afrika and the primary school in Jinkfuin. Kindly enumerate the resources which are abundant in your community. Our community has a lot of foodstuff. Hunger is not a major issue. The community has land and space where most of the projects can be carried out. There is also the availability of human resources. At Goodness and Mercy Missions; the computer lab has 12 computers running, a projector, and more than 3000 volumes of books on assorted topics.